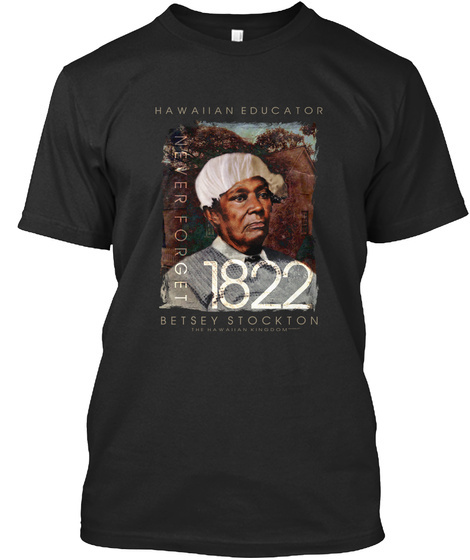 Betsey Stockton (1798-1865)was the FIRST and ONLY person of African-American descent that received permission from the Hawaiian Ali'i to educate hawaiian commoners to become educators themselves. She was born into slavery, and emerged as a religious and academic pioneer. In 1825, Stockton left Hawaii and returned to the United States while the school she developed in Maui thrived. By 1826, 8,000 Hawaiians had received an education as a result of her initial efforts. Today, that site is Lahainaluina.